When do you need need to up-grade your electrical service? All structures have limited electrical capacity, due to the nature of the electrical panel, the interface between the home system and the municipal power grid. When a service is up-graded or changed, that capacity is increased, allowing the potential for more circuits to be installed and used. 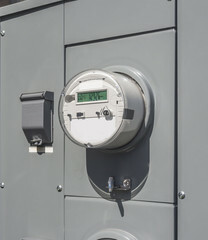 Many homes and businesses still have their original 100 amp service, so when it comes time to remodel or addition, often there is little or no room in the distribution panel to install the required additional circuits. The amount of electricity available to use is limited by the capacity of your main breaker. So when major appliances that need electrical power are added, or the size of the building is increased, very often the electrical capacity of your service needs to be increased as well. In general, after several years of exposure to our South Florida’s weather, continuous use, and the constant addition of appliances and other various loads, there comes a time for a service up-grade and electrical service wire upgrade to properly handle these extra loads. Having these up-grades can save you thousands of dollars in damages and prevent an electrical fires. ELECTRICAL DUTIES can hep, contact us!